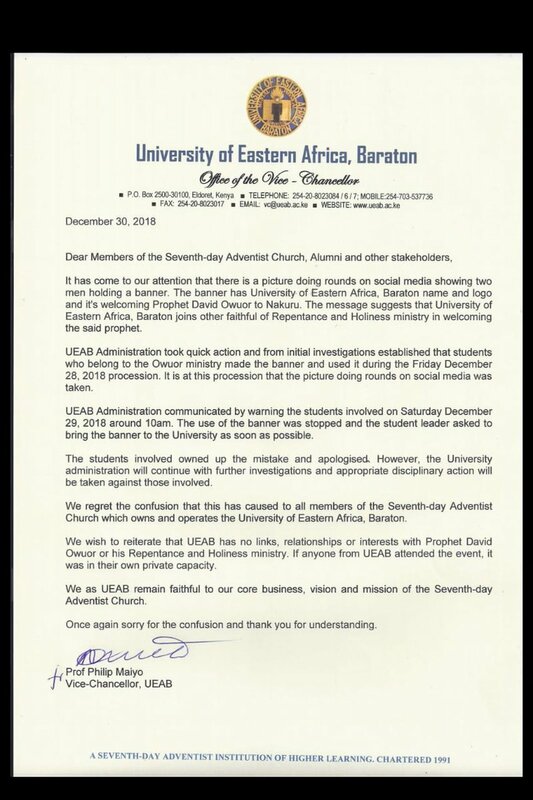 University of Easter Africa, Baraton administration has disowned an image making rounds on the internet showing a banner with the institution’s logo and name during Prophet David Owuor’s grand welcome to Nakuru. The school has apologized for the confusion caused by the image as the institution is owned by the Seventh Day Adventist church (SDA). “We wish to reiterate that UEAB has no links, relationships or interests with Prophet David Owuor or his Repentance and Holiness Ministry. In a statement dated December 30, the students in the viral image have apologized and owned to the mistake. The institution is however investigating the issue further but has warned the students. The banner has since been seized. The self proclaimed prophet has been holding his three day revival in the town which ends today (December 31). On Sunday he prophesied that there would be two suns, a prophecy that was proved false. Photos taken immediately he uttered the words showed only one sun amidst a cloudy sky. 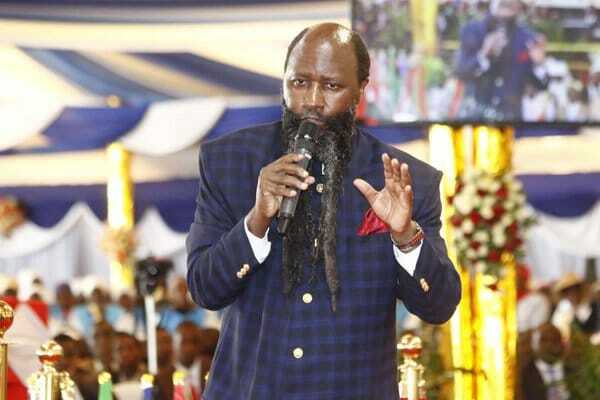 Before the sun incidence, photos of Owuor doubling in a certain meeting have been circulating online, mostly being shared by his followers. These images are being circulated with claims that a camera captured him as he transfigured into two people. People in the meeting never saw it but pictures emerged later after meeting.